For the record, I do not think I’m better than you. You and I may have interacted and my quiet demeanor may have given you the impression I think I am better or cooler than you. Let me assure you that is in no way true. Truth is, I think you are great. Really. The problem is, depending on the situation, I’m sometimes awkward. You and I meet in the hallway or parking lot and suddenly I have nothing fun or clever to say, so I don’t say anything. See? Awkward. You are a potential friend and I don’t want to say or do anything to make you think I’m a weirdo, but the act of trying not to be a weirdo sometimes backfires. I didn't always have this problem. As a teenager and college student I was outgoing and enjoyed the people around me, especially those who needed a little more love. After college, I moved with my husband to his small hometown and suddenly making friends was hard. I dropped my fishing line into this new pond and got very few bites. With every missed opportunity, it got more difficult to engage people and I found myself becoming a homebody. The outgoing person I once was faded into a couch, coffee, book-loving introvert and I resigned myself to the fact that I was a different person. I allowed this small town to shrink me. Before you start to feel sorry for me, know that I am a happy person. I have a solid marriage and get better at this mom thing every day. I have some amazing friendships and a tough, but rewarding job. I have the privilege of getting to lead a small group of college ladies in the Word every week, something I absolutely love. Every morning I thank God for the long list of blessings he has so graciously given me. 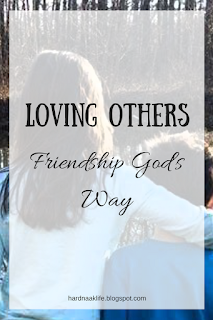 In light of this you may wonder, if things are so great, why is making friends a big deal? For the past five years, God has been wrecking me one verse, one book, one sermon at a time. He keeps pointing me toward Isaiah 53, the book of James, and Matthew 25. He wants me to love Him and love people, all people, no exceptions. And this is not just a word specific for me. It turns out our church is heading in the same direction. Not content to be church as usual, it is moving toward a focus on loving each other as members of the Church and working together to love others. This involves discipleship, sharing the gospel, and using our gifts for good, not burying our talent like the servant in Matthew 25. It is time to fully commit to my church. 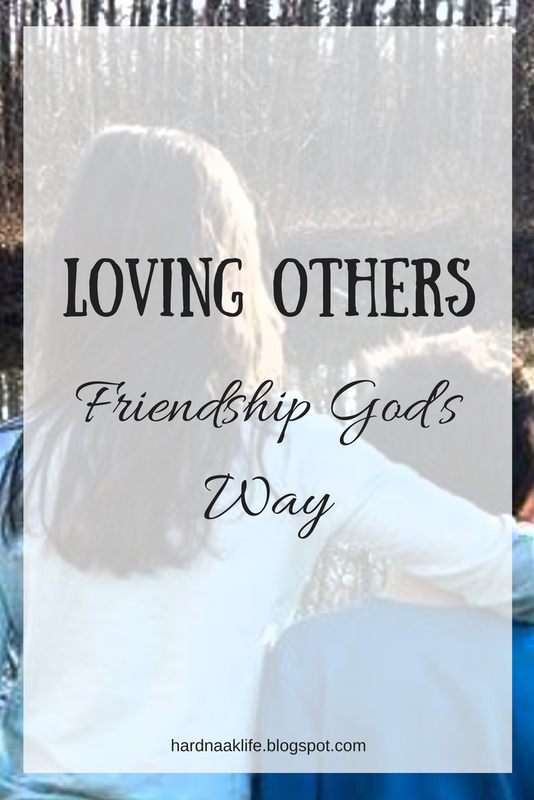 If I am focused on loving God and loving people, I need to do a better job of opening myself up to friendship. Here are ways to push through the awkwardness and insecurity to become an active member in the Body of Christ. 1. Focus on the other person. When I think about what I am saying or how I am behaving it puts the focus on me and doesn’t allow me to fully enjoy the person standing in front of me. At a Young Life leader retreat in college, our speaker gave us some advice I have never forgotten. When I walk into a room or encounter a group of people, I should no longer be a here I am person. Instead, I should be a there you are person. 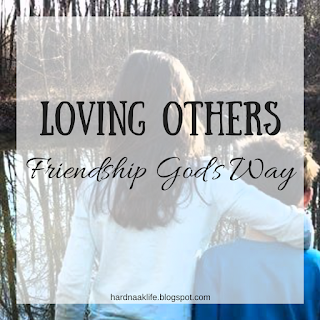 Focusing on others allows us to see them more clearly, appreciate them as one made in God’s image, and show them love. One of the most important things they teach you in a counseling education program is active listening. We were taught to ask questions and use reflective listening. Basically, ask a question, listen intently, summarize what the person is saying, and keep asking questions. This helps a person feel comfortable with you and puts the focus on them. If I’m asking a person questions, I’m not just talking about myself. Recently I read an enjoyable book called Listen, Love, Repeat: Other-Centered Living in a Self-Centered World by Karen Ehman. In it she writes about listening for heart drops. People often mention things they love and enjoy, like a certain band or particular type of food, and she writes it down in a notebook she always has with her. Later she surprises that person with a gift that represents their heart drop. That’s a pretty neat way to show kindness to someone. Other ways include inviting someone over for dinner, paying someone a compliment, bringing them a cup of coffee, or calling/texting them to ask about their day. There is a great quote that says, seek to be worth knowing, rather than to be well known. If you want to make friends, be trustworthy and of good character. When someone allows themselves to open up, don’t share that information with others. Be trustworthy. One of the most important aspects of my job is allowing students to share secrets, concerns, and frustrations in confidence so I can build rapport and strengthen relationships. The same can be applied to all friendships. Don’t turn information from a conversation with a friend into a piece of gossip to share later. Be trustworthy and be someone who is worth knowing. Before I share the gospel with the lost, I need to genuinely learn to love God and love others. 1 John 3:18 tells me I should not love in word or talk but in deed and in truth. It is my actions that are important. I shouldn’t just say I love people, I should put those words into action. That is why friendships within the Body of Christ, the Church, are so important. People are watching. They are watching how we treat the world, but they are also watching how we treat each other. If we love God, we should love our neighbor as ourselves. This is the man in the homeless shelter and that lady at work, but this is also the couple sitting next to us in Sunday School. 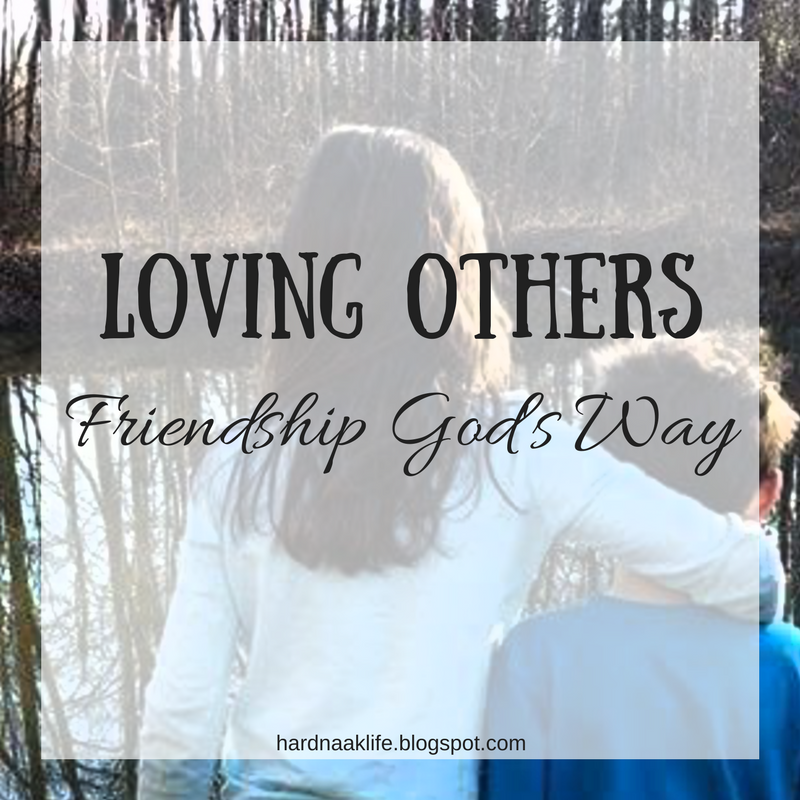 It’s time for me to push through the awkwardness and move toward genuine friendship. It’s time to overcome shyness and start being confident as a member of the Body of Christ. It is time to work with my fellow Christians and go fulfill the great commission.